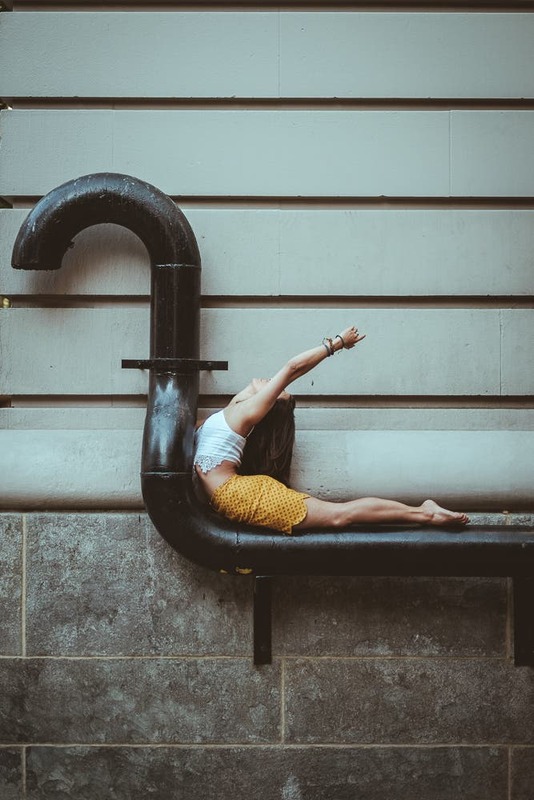 All images by Omar Robles. Used with permission. If you’re not already following photographer Omar Robles on Instagram, then you’ll want to boot up your phone and do so now. Originally from Puerto Rico, he is a dance and documentary photographer. In 2007, he started working as a professional photographer for Metro San Juan Magazine in Puerto Rico. Then he moved to Chicago in 2010 where he worked as a photojournalist for the Chicago Tribune’s Spanish publication Hoy. In 2013, he relocated to NYC where he started working on a dance series under the hashtag #OZR_Dance. It’s earned him the recognition of Instagram’s Blog, Huffington Post and Mashable among others. 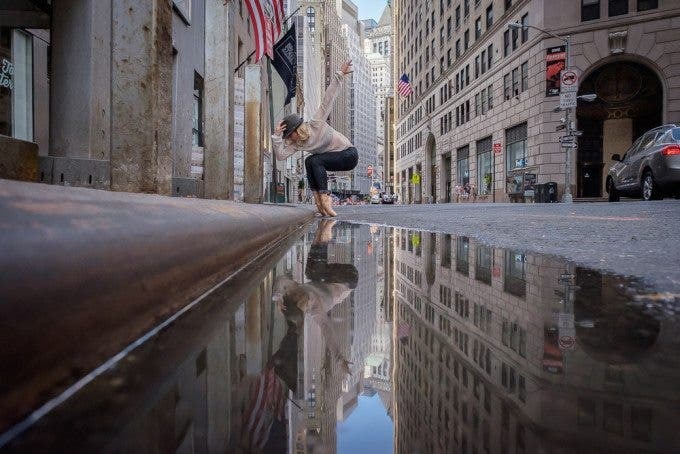 Omar’s Instagram feed is filled with images that he shoots where he and dancers take to the streets of NYC and create visually stunning scenes. And believe it or not, he started being completely afraid of taking portraits. Phoblographer: Talk to us about how you first got into photography. Omar: My first artistic education was as a professional mime. I studied in Paris, France and graduated from Marcel Marceau’s school in 2004 (L’École Internationale de Mimodrame de Paris Marcel Marceau). One of the reasons why I became I mime was due to my natural inclination to tell and create stories. Words were not really my thing though. It was way too easy to get lost within words. Images had a stronger appeal to me and were more efficient in portraying the essence of a message. Regardless of language we all constantly answer to a plethora of visual cues socially, visual language is something we can all relate to. In 2006, I discovered photography. Similar to mime, I could create stories without the words. While I loved theatre and performing, it felt somewhat ephemeral at times. Once the performance was over, it was over. Photography, offered me the possibility of keeping those stories alive, and more tangible (albeit digital). 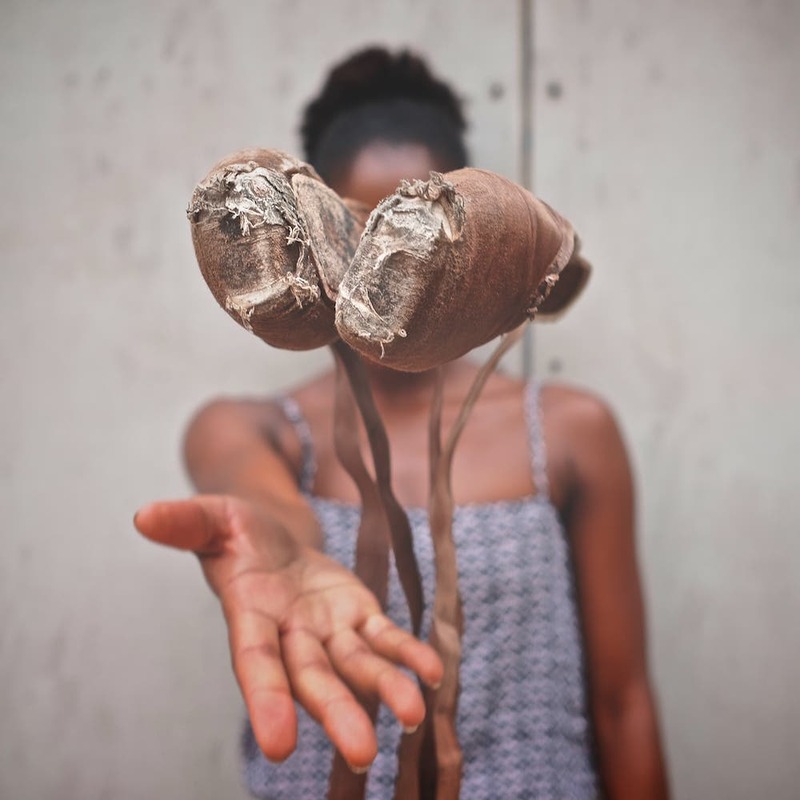 Phoblographer: What made you want to shoot portraits and dancers? Omar: When I started photography I had a fear of portraits. I’m not much of confrontational person. In order to create compelling portraits you really need to make yourself vulnerable to and with your subject. I knew that then and it scared me. Nevertheless, I’m quite stubborn, if I feel something intimidates me I will most likely try and face it (if only to say I tried it at least). I made myself shoot people, first with street photography and later with portraits. The intimacy and rapport I developed with the subjects, if only for the short time they were in front of my lens, was something I couldn’t find anywhere else. It helped me grow out of my fear of confrontation and sympathize with others much more. Dance photography came a bit later. From my background as a mime, movement and physical communication have always been a big part of me. While I was living in Chicago I worked on a reportage with a Parkour community. Inspired by the great visuals of the traceurs bodies in mid air, I started working on a levitation self portrait series. Due to old injuries, I had my own set of limitations so I decided to “outsource” the jumping to more skilled individuals. I found dancers had the perfect combination of athleticism and poise I was envisioning. Phoblographer: Where did the idea to go out onto the streets of NYC and start shooting come from? Omar: It mostly come from my work with street photography. I wanted to recall that same raw aesthetic of the NYC streets I acquired from street photography to this new endeavor with dancers. The idea was make it feel as a documentation of an alternate world where we could move around the urban spaces without the fear or social norms that many times hinder and condition our behavior and non verbal communication. 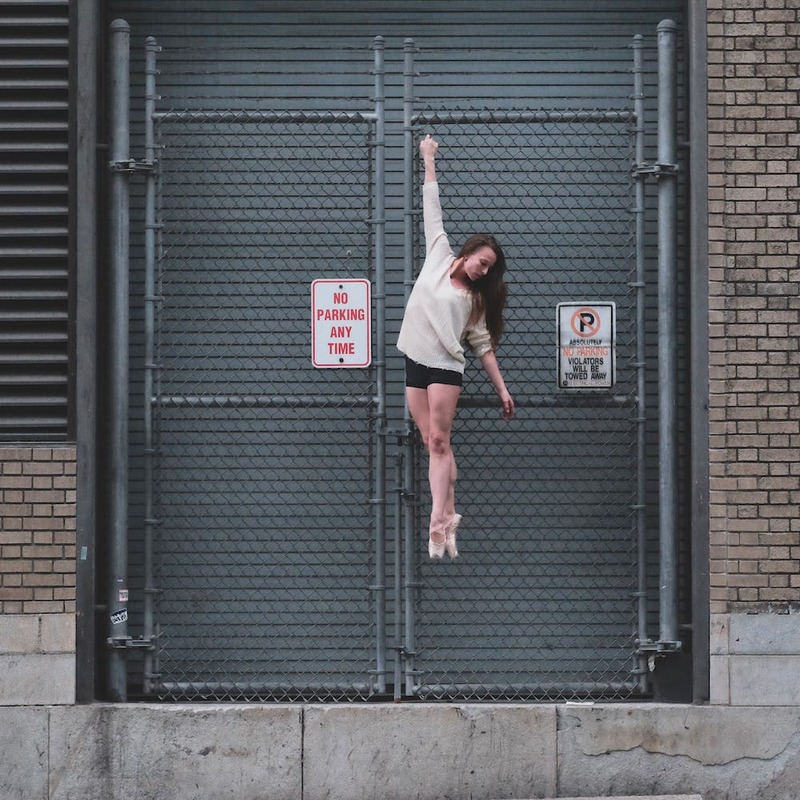 Juxtaposing the stylized lines of a dancers bodies against the jagged edges of the city creates a dramatic balance that is almost impossible to ignore. Phoblographer: How do you go about choosing the neighborhoods, dance positions, etc? New York is surely easy to shoot in, but sometimes it can feel very crowded. Omar: I don’t do much scouting honestly. Before meeting up with a dancer I look through Google Maps and have a feel of where I see myself. Because of street photography, I’ve walked a lot around the city and many neighborhoods are quite familiar to me by now. Every so often, I will to put myself in a new space where I haven’t shot before to get myself out of my comfort zone. Most times I shoot earlyin the morning to avoid foot traffic but incorporating the busyness of the city into the shots its also part of the magic. It makes me think of a photo where in the midst of the shot I caught Mr. Bill Cunningham in my frame as he shot back at me. In terms of the posing I try to play to the dancer’s strengths. Classical dance was part of my education as a mime so I do have some dance vocabulary I can rely on. Depending what I want to frame, I will ask the dancer to try a specific pose but I always allow them to bring their own suggestions to the table. 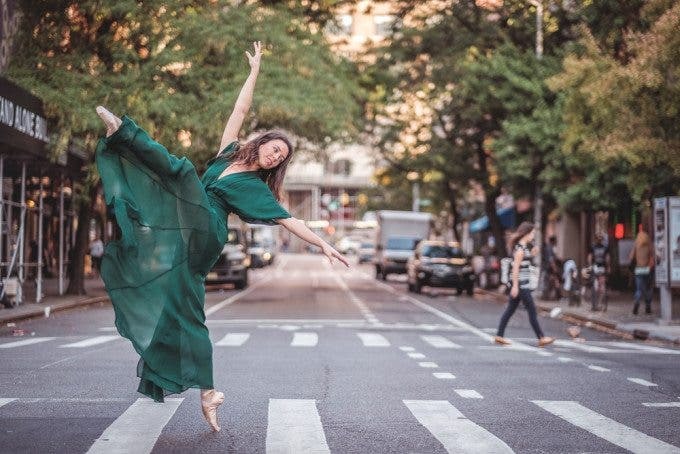 Phoblographer: You’ve got a couple of photos where you and the dancer walk between taxis and cars to create the images. Do you or the dancer ever feel in danger when you shoot? Omar: Since most of my shoots happen early in the morning there’s not that much traffic on the street. When we do go on the street, we time it with the traffic lights running in and out as we get the walking signal. Most of the time I place myself so I’m somewhat shielding the dancer shall something bad ever happen. For the most part its fairly safe, I’ve had a few scares though, that’s just the nature of it. Omar: I shoot with the Fujifilm X-T1. My go to lenses are the Fujinon 23mm f1.4, 56mm f1.2, 16-55mm f2.8 and sometimes the 35mm f1.4 in that order. I don’t use any light modifiers or artificial lighting, I rely solely on available light for this work. Phoblographer: You’ve got quite the Instagram following. Besides having great work, how did you go about building your following? Omar: I built a good initial following by staying active at local instameets. No matter what style of work you do, it’s always good to be in touch with your local Instagram community. I still go to instameets even if I’m not posting much from them anymore. I really enjoy the company, not to mention the networking opportunities. The key element about social media is to be social. Phoblographer: How has your following brought you new work? We’re sure that more dancers want to work with you, but do brands want to hire you for your talent at all? Omar: Yes, I’ve been having more and more opportunities to work with brands. I will create content to promote the brand through my Instagram account as well as content intended for their the own accounts. Gap, Esprit, AppleMusic and The Guatemalan Tourism Board are some of the brands I’ve worked with recently for example. 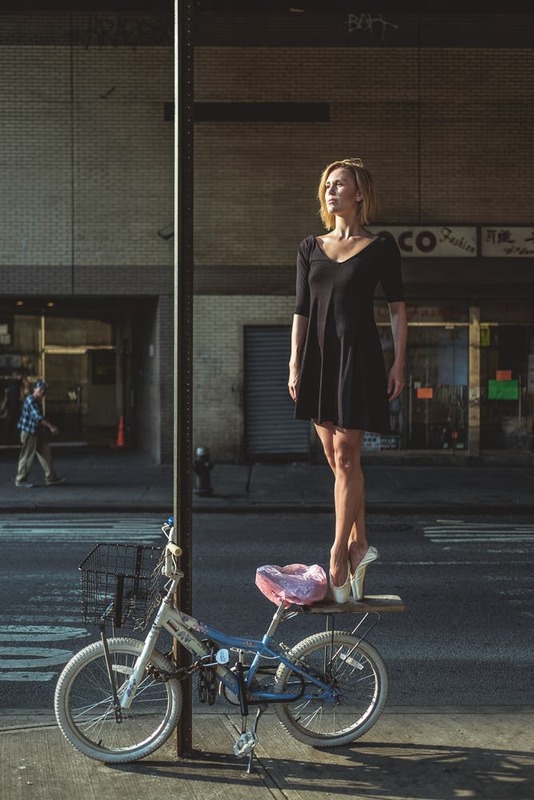 Phoblographer: Walk us through one of these shoots. Are you just photographing the dancer doing a routine or are you doing some sort of storyboarding along the way? What happens? Omar: I rarely come to a shoot with a preset idea. Much like in improv theatre, you risk flopping more when your mind is too set on something. We walk together and I find spots that talk to me along the way. I normally suggest a pose according to what I visualize on that location and we work on it several times until we are satisfied with the results. As we shoot each pose we tweak it depending on the light, angle and other factors. I will also ask the dancer for assistance if I feel I can’t find the right pose in my mind. They know their bodies well enough to play to their strengths. Phoblographer: Lots of your work seems to be done when it’s warmer. What’s going to happen in the winter? Omar: I try to accumulate as much work as I can during the summer so I have enough content to post during the winter. I will shoot during the winter as long as it is bearable. The dancers will usually keep warm while moving, but we take a few breaks if needed. You must be more careful during the winter as their bodies are more prone to injury when it’s cold. Phoblographer: What goals do you want to achieve as a photographer by the end of the year and how are you going about making those happen? Omar: I want to work with more brands that will translate seamlessly within my line of work at the moment (imaging, fashion, travel and fitness for example). I want travel much more this year and introduce other dance forms that would document cultures through their own movement traditions. I’m in touch with a non-profit organization at the moment. We are working on a proposal for the beginning of next year, I am quite excited a looking forward to that opportunity.